Dortmund - As they returned for day one of pre-season training on Tuesday, the majority of Borussia Dortmund players could well have been taken by surprise by the sight and sound of a new coach laying out the cones and passing out the bibs. After seven years of listening to Jürgen Klopp, they now have a new voice to guide them in the form of Thomas Tuchel, and the 41-year-old is wasting no time at all in his attempts to refocus the players’ minds on the here and now. On May 23, BVB defeated SV Werder Bremen to finish in the 2015/16 UEFA Europa League qualifying places and give outgoing coach Klopp the send-off his years of dedicated service had warranted. Fast-forward five short weeks, however, and the Klopp era is well and truly a thing of the past. 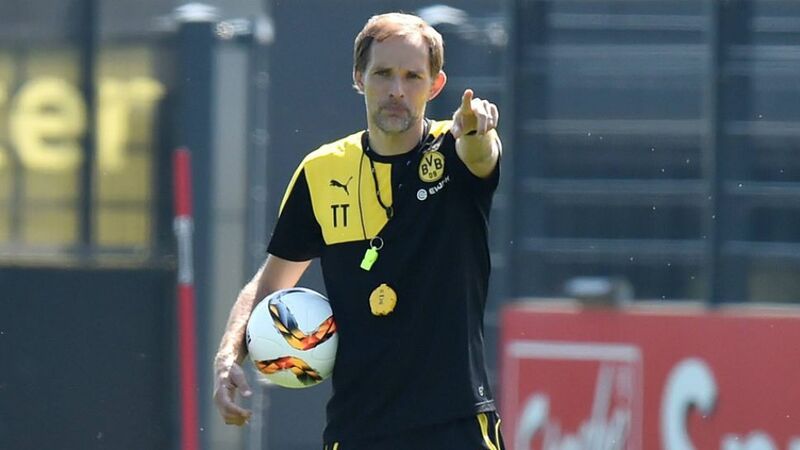 Tuchel, his eye already on that European qualifier on 30 July has work to do to re-mould the squad in his own image. As is his wont, Tuchel was out bright and early on Tuesday morning to prepare the training pitches for drills, but that was after he had sent the players for a detailed fitness test with a scientific approach at nearby Bochum University on Monday evening. The former Mainz 05 boss evidently coaches differently to his predecessor, and the hope among the staff is that these new and innovative techniques will condition the players well enough to not just be in shape come 30 July but to cope with the draining Thursday-Sunday European schedule next term - as well as to prevent injuries. For it seems injuries - perhaps the biggest blight on Dortmund’s progress in Klopp’s final two seasons - are still proving a thorn in the BVB side. Long-term absentees Kevin Großkreutz, Nuri Sahin and Adrian Ramos have all missed the start of pre-season training, while Pierre-Emerick Aubameyang, Shinji Kagawa, Matthias Ginter and Moritz Leitner are absent have been granted extended leave due to their involvement in international tournaments this calendar year. Nevertheless, Gonzalo Castro, a new signing from Bayer 04 Leverkusen, has been able to train with his new coach from day one, as has Roman Bürki, who will compete with Roman Weidenfeller for the No 1 spot, meaning solid provisions are already being made for at least two important areas in the team. After a season out of the game, there is now plenty of food for thought to whet the revitalised Tuchel’s appetite.